Who better to ask about how to choose an area rug then an area rug designer? In 2006 Barbara Jacobs, Color Consultant/Designer of the IACC, International Association of Color Consultants/Designers, and formerly of Color Marketing Group (CMG) started her own line of hand-knotted Tibetan rugs, Silk Road Weaves. Barbara’ can be found http://www.integralcolor.com/ . Since the Stone Age, humans have used some type of “area rug” in all types of dwellings to create comfort and to represent social status in the community. What has changed? You now have more options than ever before to select from a variety of materials, fabrication methods, design style, and cost. How to make the best choice possible, for use today and investment for the future? Even if you have many sources and ideas about using area rugs, there are a few details to consider that are important in determining which is best for your needs. 1. For long-term use and the most beautiful appearance over time, select the highest quality construction and materials that your budget will allow. Regardless of the design, Tufted rugs, whether machine or hand-tufted, are less expensive. “Machine-tufted” are the lowest of the group, and the least durable. “Hand Tufted” is still a mechanical process. “Cross-Weaving,” the traditional Tibetan hand knotting method that “locks” yarns in place. More time-consuming and demanding than the uncrossed-style, it’s done only by the most experienced adult artisans. “Uncrossed weaving” does not lock the knots. It’s possible with use for the weaving to ‘unravel’ almost as if pulling a sweater apart. You may not be able to tell the difference. But the higher quality Tibetan rugs should be made in the “Crossed-weave” method, which is more durable. The style of most contemporary Tibetan rugs does not show a fringe. But, the fringe should be part of the actual construction because it’s an extension of the warp, not “tacked on.” Look for it, tucked under a bound edge. Rug size may vary a bit. If the rug appears too mechanically precise, it may not be hand-knotted. Long-fiber Himalayan wool is preferable for its high lanolin count and stronger fibers that become more lustrous with use, with innate ‘stain-resisting’ quality. Lower quality wools with shorter fibers will shed. Silk or viscose: adds shimmer. Plant fibers: Jute, hemp, linen, allo, and more. Undyed fibers create an interesting natural style and textural effect. Knots most often seen in Tibetan rugs are 50, 80, or 100 “knots per inch.” Depending on fiber density and pile thickness, fewer knots create less detail and are usually less formal looking. Detailed designs of Oriental/Persian rugs have a higher knot count and usually have lower pile. The detailed designs of Persian rugs require a much higher knot count. Look at the back of the rug to confirm true knot type. Light reflects differently from one end or the other, showing ‘lighter’ or ‘darker’ colors depending where you stand. View your rug selections on the floor, from all angles, to get a truer sense of the colors, textures, and scale of the pattern. Oval rugs are gaining in popularity because they can adapt to a variety of furniture layouts and room sizes. You can also find—or have custom made—an oval rug with or with a border or center medallion, or even in a design to coordinate with a rectangular rug in the same room or adjacent space. 4. What type? From the showroom floor, or custom? A true antique, or contemporary? Choose the look and the style that suits your needs. Just a few are “Oriental” weave (of various origins); Turkish; Flat weave, as a “Soumak” and even in Tibetan rugs (that’s reversible), Navajo style; Hooked; “Tribal;” Rag or braided; Tibetan. Child labor continues as a serious problem in the carpet industry, as many of the low-priced rugs illustrate. Ask for—and get—a rug that’s certified by GOODWEAVE, as having used no child labor. A true GoodWeave-certified rug will have a specially numbered GoodWeave label on the back side. 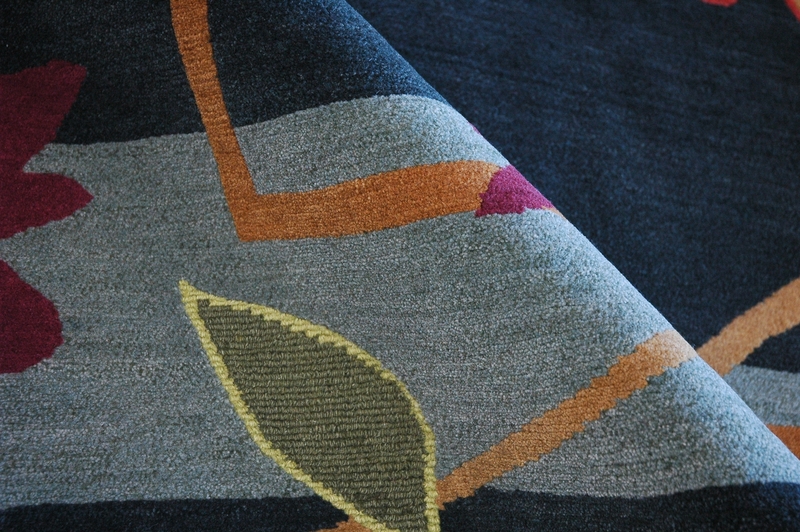 A wide range of rug companies, making both hand tufted and hand-knotted qualities, are certified by GoodWeave.